Afua Asabea Asare is a lifelong Positive Leadership and Strategy enthusiast with a background in Integrated Communications. 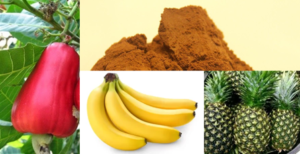 Asabea has a 25-year Management experience, working in a variety of corporate environments as a staff and as a consultant. She has an MA in Positive Leadership and Strategy from IE University in Madrid; Bachelor of Laws (LLB) from Kwame Nkrumah University of Science and Technology (KNUST), Ghana, Post-Graduate Diploma in Organizational Development from the University of Cape-Coast and MBA International Business from Ecole Superieur de Gestion (ESG), Paris. She also has a Certificate in Strategic Marketing Management from the Harvard Business School, Cambridge, Boston; a Post-Graduate degree in Communications Studies from School of Comm. Studies, University of Ghana; Diploma in Public Relations and Advertising, Ghana Institute of Journalism, and currently pursuing a Doctor in Business Management and a Master of Science degree in Research from the Swiss Business School. She has authored various industry and business articles on coaching, leadership development, and on the diversity of thought and inclusion. Asabea is the Founder and Lead Consultant at AYA & Company until March 2017. 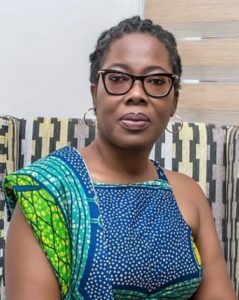 She is also an adjunct Lecturer of Leadership, Entrepreneurship, Strategic Supply Chain Management and Mass Communication at the Ghana Institute of Management and Public Administration (GIMPA), the Presbyterian University College and a Visiting Lecturer and Speaker at the China Europe International Business School’s (CEIBS) Women in Entrepreneurship and Leadership in Africa (WELA) programme. She serves on the Board of the Ghana Exim Bank, Board of Venture Capital Trust Fund, Board of GTUC and the Advisory Board on Africa for IE University in Madrid, Spain. A Fellow of the Association of Certified Chartered Accountants, UK with 12 years post-qualification experience, Samuel has considerable experience across many areas of finance including Financial Control, Financial reporting, Financial planning & Analysis, Business strategy formulation, Budgeting and Forecasting, Financial Risk Management and Control. 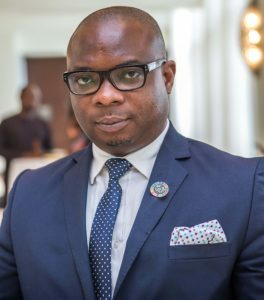 He is also a board member of TTL Investment Capital, a private investment banking firm and a board member of the Financial Intelligence Center of Ghana, under the Ministry of Finance of Ghana. Samuel, until 31 August 2017, was the Head of Finance for West Africa Retail Chain Limited, the owners of Shop N Save Supermarkets. 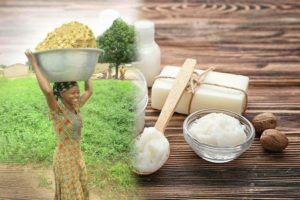 He left West Africa Retail Chain on the 31st August 2017 to pursue personal business Interest. From 2005 to date, Samuel has been working in senior management roles across different industries, managing different teams for superior performance. Prior to joining West Africa Retail Chain Limited, Samuel worked with many multinational organizations including British America Tobacco as the Cluster Head of Finance of markets made up of Ghana, Benin, Niger and Togo which later expanded to a cluster of 7 markets (Ghana, Ivory Coast, Mali, Burkina Faso, Gambia, Liberia, and Sierra Leone), Zain Communications/Airtel Communication as the Head of Business Planning and Analysis Manager, Guinness Ghana Breweries Limited( subsidiary of Diageo Plc.) as the Financial Reporting Manager. Samuel has special interest in setting up and building finance departments of new businesses and ensuring all the processes, procedures and controls are in place and working to drive business performance. He has also been involved in profitable turnaround of many SMEs in Ghana. He is an expert in business performance measurement and reporting to both internal and external stakeholders. His strengths in the finance and accounting includes Financial Controls. He holds a Bachelor of Commerce (B.com) Degree from the University of Cape Coast and an MBA Finance from Institute of International Finance, Oxford Brookes University, UK. Samuel is married with two girls and one boy. As an enthusiast in organizational development, management and strengthening, Mr Diwura has worked in the field of human resource management for more than a decade. 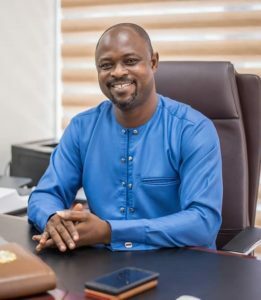 Currently, he is the Deputy CEO overseeing Human Resource and Administration issues at the Ghana Export Promotion Authority (GEPA), having been appointed by the President of the land in 2018 to assist with the forward march of the National TPO. 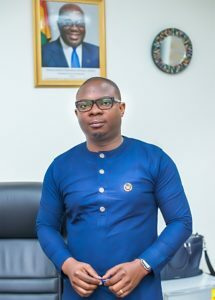 Prior to his joining GEPA, he was the Principal Human Resource Manager for West Gonja Hospital in Damongo, Northern Region, now Savannah Region. He was also a member of the Northern Regional 10 Member Committee in charge of Infrastructure for Poverty Eradication Programme (IPEP). Politically, Mr Diwura stood as the parliamentary candidate for the Damango Constituency in 2012 as well 2016. Mr. Diwura holds Master of Commerce Degree in Human Resources Management.